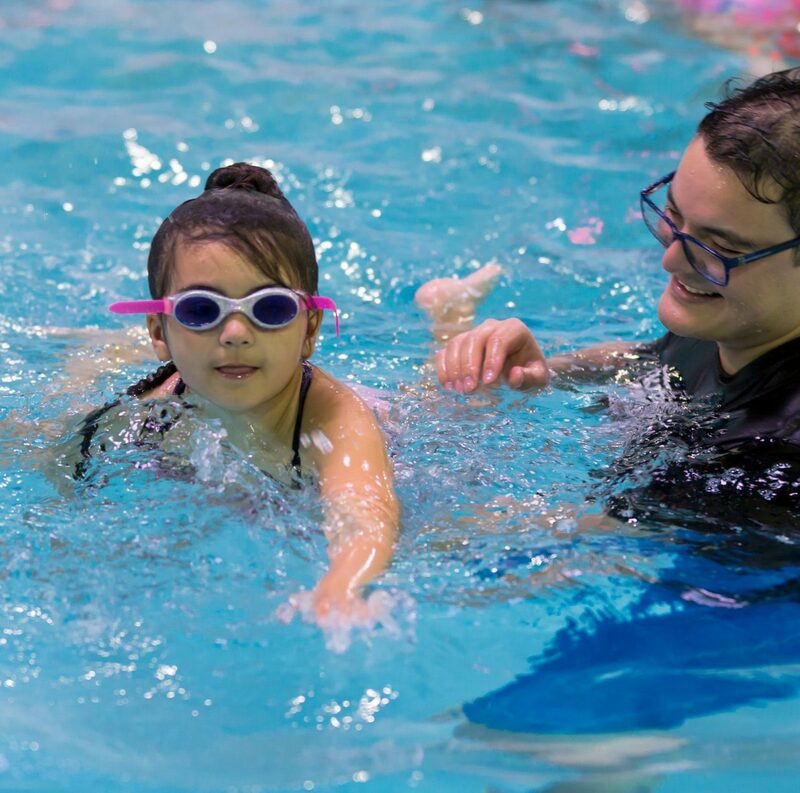 Our mission is to provide unique experiences through physical and creative activities in a supportive environment to children with special needs who may otherwise be excluded. 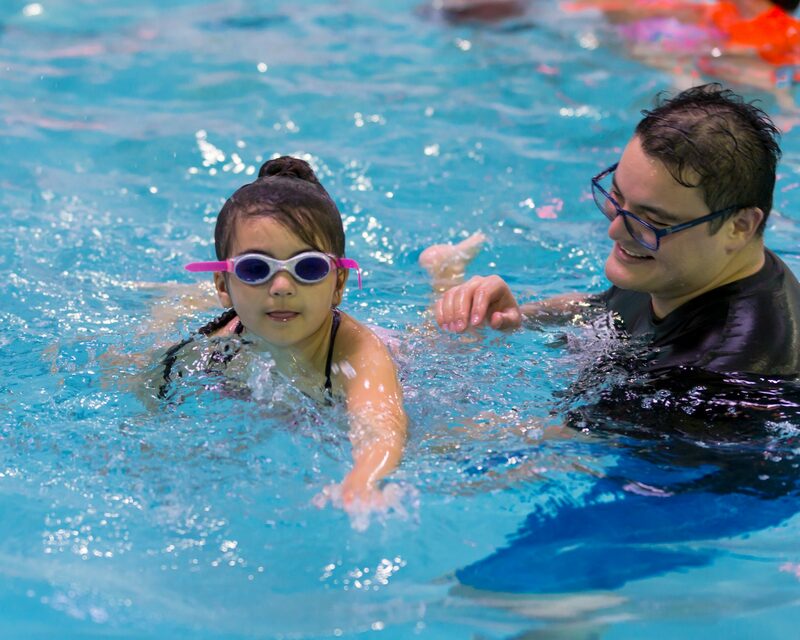 Our sports and recreation programs are designed to encourage mobility and activity, foster courage and confidence, and boost self-esteem and pride, which all lead to the joy our Kinetic Kids feel when they achieve new possibilities that were previously unimaginable. We currently serve San Antonio, Schertz and New Braunfels with seasonal recreational programs, monthly competitive programs and one-day events. Kinetic Kids are children with special needs who need a way to participate, a place to belong and a chance to shine. We help Kinetic Kids overcome their daily struggles by adapting sports and recreational programs to their individual needs. Whether they are challenged with spina bifida, autism, Down syndrome, crutches, walkers or wheelchairs we enable them to become athletes, dancers, artists and more! A physical, occupational or recreational therapist is on site for every program to ensure the safety and success of each participant. One-on-one volunteer assistance also ensures the safety of our athletes, and our parents also enjoy being able to sit on the sidelines and cheer! Our athletes love competing in traditional athletic facilities, therefore we do not own a central facility. We funnel those savings into additional programs throughout San Antonio, New Braunfels, and Schertz so that there is always a program nearby. We offer programs year-round, ensuring your child always has a variety of sports and recreational activities to enjoy. People with disabilities are much more likely to lead sedentary lives, and consequently develop secondary conditions like diabetes, respiratory failure, osteoporosis or cardiovascular disease. Participants see marked improvements in strength, coordination and flexibility. Physical, creative and social activities reduce the occurrence of depression. Parents and teachers report seeing improvements in behavior, academics and social interaction among our participants. In 2001, Tracey Fontenot and Kacey Wernli were practicing pediatric physical therapists who saw a need. The children with special needs that they served needed more exercise. They needed motivation. They needed camaraderie. They needed the joy that comes from being part of a team. 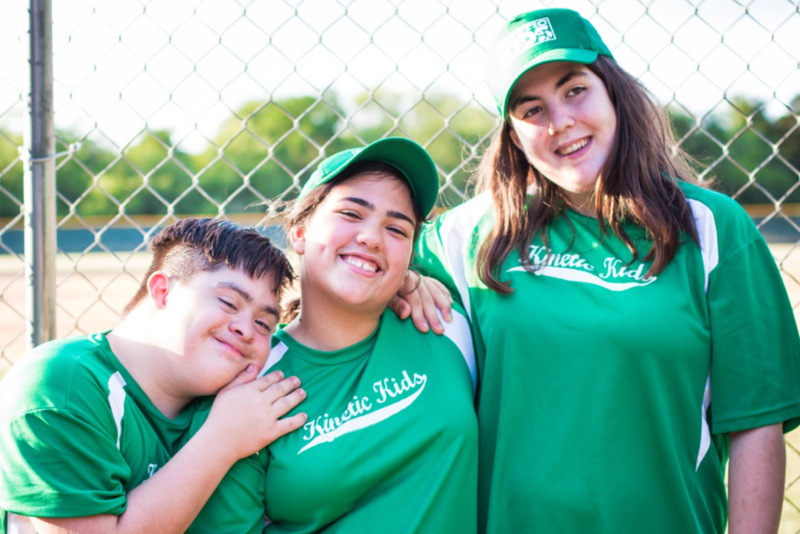 Together, Kacey and Tracey founded Kinetic Kids with just one t-ball team of 12 children. Then word got out, and the requests followed. This year, we will offer 234 sports and recreation programs to more than 2,800 children with special needs.